These speakers really need a big power amp, because they are not very efficient and love high current. You can read this in a lot of reviews and it is absolutely tru. They won't shine and will sound harsh and lifeless without a good amp. The weight makes these speakers very hard to move or transport. Also how! One much,much good! I buyed them ago too years and, very good. They plays louder and gooder then my old speakers, but also how! When I buyed them I listen nearly many, many others speaker, and also how! So where is the valjew? If different with B&W speakers from same buy, very also how and deeeeep. Lovely bass, between and high also together many then B&W. If B&W ligt so good, Revel also how. LOL! Summery: Many money for too play, but also how, very music and nice. Not so how: Playes very good and very hard in music but not so how,more like not B&W! Little bass if different with others speakers.Maybe my music is not so how for to plays them more? Tonal balance, deep,tight powerful bass, incredible overall transparency and imaging especially in the midrange, wide/deep soundstage. Frequency adjustments to help with room problems. Build quality and beautiful finish. Very heavy!! Awkward to move after being spiked. Needs a moderately powerful amp for best results. I purchased these brand new, they were one of the last of the first generation Revel Salons made. This is an absolutely stellar speaker!! I never thought I would hear a speaker that did everything so right. After selling my Linn Keltik active speakers I went through allot of speakers before finally settling on these. Before the Revel Salons I had reached the point to where I would only listen to music that sounded good on the speakers I had, instead of music I really wanted to listen to; but after purchasing the Revel Salons all that has changed and I am in heaven now!! The Revel Solons have a midrange tonality that equals the best electrostatics and surpasses them in focus and soundstage. Tonal balance is spot on no matter what type of music you listen to. There is a an amazing coherence between all frequencies, and the integration between all 7 drivers is seemless!! These speakers sound great with all types of music; however they are very revealing and although they will reveal a poor recording for what it is, they do not render a bad recording unlistenable like so many other high end designs. The bass is very powerful, yet also very tight and acurate never overpowering. For those who have rooms that are prone to bumps in the bass or roms that have brighness issues the Solons have knobs on the back that can slightly attenuate or boost those frequencies. The rear tweeter which does a great job of creating an electrostatic like soundstage can be attenuated or shut off all together, I tried shutting it of but I get better depth and ambience with it on. Just take time to set up the speakers correctly, experement with positioning (they are very easy to position, and even though they are very heavy they slide across the carpet very easily) and these speakers will give you a realistic experience that is nothing short of being there!!! These speakers simply carry you away into the music so despite their size you completely forget they are there. These are speakers that you can listen to for hours without the desire to turn them down; they are completely non-fatiguing. They also do a great job as hometheater speakers along with the amazing Voice center channel! You could easily get by with out subwoofers; (the Salons will go about as deep as almost any sub) however the Salons do need allot of power to sound their best and the sound pressure levels of the bass in most hometheaters can easily tax even the best monoblock amps. The Revel Ultima Salons are without a doubt among the best speakers I've ever owned or heard in a long time . I cannot imagine ever parting with them!! Still the Salon 2 along with the other second generation Revel Ultima line will begin shipping next month and if the first generation is this good I can only imagine how incredible the Salon 2 will be!!! Kevin Voekes is a geneous! Thanks Kevin!! I have only had a brief encounter with this speaker. It is considered by many here to be a reference speaker and most owners are pretty happy to write about its qualities on audioreview. Due to my short encounter, please take my impressions with a grain of salt, and leave some room for personal taste in the review. When I heard them, these speakers were running off a VPI turntable with a benz cartridge, through a VTL 6.5 preamp and a pair of VTL 450 monos, all cabling was Cardas Neutral Reference, powercords and powerconditioning was all shunyata anacondas (vx and alphas) with a Hydra 8. Listening to Hotel California (live version) on LP, I immediately noticed how visceral the bass was. Some here have noted how well the bass integrates with the mids and highs on their systems. On the system I heard, the bass clearly stood out from the rest of the audio spectrum. For overal integration, I greatly prefered the Dynaudio Evidence Temptations to these Revels. The Revels are capable of mindblowing resolution like most of the speakers in their price range ... you get detail galore with them. In that same system, I found that the highs had a particular metalic edge/glare that could not be tamed/eliminated with room treatments ... I suppose this could be attributed to the speaker itself. They do sound very captivating on vocal music and I believe the midrange is perhaps their greatest attribute. Just my 2 cents, please do not take offence at this post ... I just wanted to share my impressions with other people out there. It is safe to say that these speakers are not my cup of tea. For the money, I think I could do better. B&W 800's with the old tweeter, PMC OB1's, Martin Logan Aeon i's and Clarity's, Dynaudio Evidence Temptations, Revelation Audio Mistral S6 with Sub6 (which I currently own), Wilson Watt Puppy 7.1's, Monitor Audio S8's and GR10's, Paradigm Studio 40's v2 and S4's, Energy Veritas 2.4's and 2.2's, Tannoy Eyris DC 3. I believe it does everything well. It is expensive and quite heavy. Disclaimer: I do not profess to be an audiophile. Neither do I intend to even remotely suggest that I have a "golden ear" or some sort of supernatural power to discern the scientific characteristics of one piece of equipment over and against another. In fact, my hearing (and perception) is just as good (or bad) as any other average person. But I will most certainly assert that I love music and can judge "for myself" what sounds good to me. So please accept my humble opinion from the perspective of one who simply really enjoys music. I do not have the extensive musical or equipment background and/or expertise of some who have written reviews here, but I believe that I might be able to offer something worthwhile to the person who is interested in hearing from an average guy who doesn't earn a six figure income. I purchased these speakers brand new about 18 months ago to replace the Legacy Audio Focus speakers I owned. What I love most about the Salons is that they have the ability to create for me an accurate audible picture of the recorded material. With the light dimmed and my eyes closed these speakers somehow disappear into the room leaving only the singer and the band. I dare not forget to mention how these 240lb titans could take the deepest bass frequencies and transmit them through the floor, all the while never losing control of the note. These bad boys don't even need a sub (at least not for music anyway). I can actually hear distinctly different bass notes regardless of the frequency even if the notes are closely related. It was like nothing I'd ever experienced. And oh, how beautiful the human voice is coming through this speaker. Singers like Diana Krall, Norah Jones, Rachelle Farrell, Donny Hathaway, etc. come over to the house quite often to perform just for me, thanks to the Salons. Sure, I'd love to be able to tell you that I compared (A/B comparisons, that is) them to a multitude of other hi end speakers, but that would be a lie. Most people, even the professional reviewers, can't say that they A/B hi end speakers. The fact is, I have heard the Watt/Puppy 7s, the B&W 802s & 801s, the Legacy Audio Whispers & Focus and a number of others that I cannot recall. But I heard them all at separate times and in different places. The one that made me write the check is the one that I currently own and expect to keep for years to come. Now I am aware that the electronics each of the aforementioned speakers were attached to played a major role in the performance of the speaker, but even if you put 87 octane in a porsche - it still will outperform most other cars. 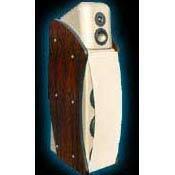 And the performance & the attributes of this speaker is what attracted me and my pocketbook. Clarity, accuracy, awesome mids and highs, great soundstage, and great image. Its a bit tricky to find the right equipments to go along with them. What can I say about these speakers? I love them!!! These are one of the best speakers money can buy. Of course there are other great speakers out there that are just as great or better. But speaker is a very subjective subject. And at this price range anyone who is willing to spend this much money must love the speakers or they wouldn’t buy them. Therefore, I think all reviews should only use as a guide to help with speaker selection, not to be as a deciding factor. I would tell anyone to buy the speakers they personally like best whether it is $100 a pair or $100,000 a pair. In the end the only thing that matter is if you are happy with your purchase. Getting back to the Salons, I think they are one of the most detailed and reveling speakers I ever heard. Some of the other speakers I audition include ML Statement, Wilson’s Watt/Puppy 7, Wilson’s Sofia, Meridian, BrentWorth, Thiels, PSB, Mirage, Von Schweikert, and etc. My final two choices were the Salons and the Watt/Puppies. I can live with both speakers easily, but I like the Salons best because they are easier to work with. One thing I notice is that the Salons isn’t for everyone. If you want accurate speakers then these 240lbs. monsters are for you. If you want something that sound good with any recordings or equipments then you should look else where. The Salons will let you know that your equipments or media is not up to par with the speakers. Basically it will sound bad if the recording is bad or the gears used is not up to it…”Garbage in Garbage out”. On the other hand, they will melt you in your chair when the recording is good and the equipment used is right. These speakers are so accurate that sometime people make the mistake that they sound bad, but in reality the speakers just wasn’t properly setup. I think if you are looking for a pair of speakers above $10k, the Salons is a must on everyone list for audition. I am looking for mono-blocks for them, anyone got any suggestion? In regard to the previous review, I found that review to be a complete waste. The review and the reviewer didn’t even mention the Salons or if he or she has any experience with it. I know everyone is entitled to their opinion, but that review was totally unnecessary. It just comes to show how childish some people are. It doesn’t bother me when someone actually has experience with the product and truly feel that they don’t like it because it doesn’t suit their taste. But judging from the review, the reviewer doesn’t even seem to have any first hand experience with the Salons to begin with. And with the reviewer logic I guess a Toyota Corolla is just as good as a Lexus LS430 since they are both owned by the same company. YOU'VE HEARD ALL OF THE OTHER COMMENTS ABOUT THESE SPEAKERS. SO, I'LL MAKE THIS SHORT AND SWEET. MAKE NO MISTAKE, THIS IS ONE OF THE BEST SOUNDING SPEAKERS ON THE PLANET. YES, THERE ARE OTHERS. HOWEVER, THIS IS ONE OF VERY FEW, IN ANY PRICE RANGE, THAT DOES EVERYTHING (ASTONISHINGLY) RIGHT. I HAVEN'T HEARD ANYTHING OUT THERE TO DATE THAT HAS SWAYED ME AWAY FROM THESE. FOR ONCE IN LIFE, I'M TOTALLY SATISFIED!!! ALL HIGH END SPEAKERS OVER $10,000. I auditioned these speakers pretty extensively a few months back while looking for a system. The sales rep at Gramophone was head over heels about them, yet the more I listened, the more blase i was about them. For the price, their sound was no better than the Triangle Celius I ended up buying, or the Martin Logan Ascents. A beautiful design, yes. And with both tweeters on, the sound is indeed fantastic, but the same can be said for speakers a fraction of the cost. Of course, since I don't own these and haven't listened to them extensively, please take this with a grain of salt. very relaxing sound, incredible detail, excellent consistency of sound. They also look amazing. These speakers are truly remarkable. They are possible the most non fatiguing speakers every made. You can listen to music for hours without ever getting tired. I found myself listening to tracks that I didn't really care for simply because of how good they sounded on this system. What is even more impressive is that, despite the relaxed nature of these speakers, they are increasibly detailed. Every nuance of the music can be heard, and they have superb soundstaging. With the rear mounted tweeter on, you get a deeper mor airy soundstage. If you want more definition in soundstaging, the rear tweeter can be turned off, and all the instruments some sharply into focus. I, however, found that the sound had more life with the rear tweeter on. Higher frequencies are rendered with utmost precision and never get harsh or boomy. Bass definition also superb. There is tremendous consistency throughout the frequency range. I've found that in some speakers, even higher end speakers, the bass can feel distict from the rest of the sound. However, with these speakers there is a perfect union between the upper, mid, a low frequencies. This means that instruments have immense depth and impact while sounding increadibly natural. While being extremely detailed, these speakers are never overly analytical meaning that you can enjoy your music without having to worry about minor defects in the recording. I would recommend these speakers to anyone shopping for a system in this pricerange. Loud, What I ever wanted A rock studio to sound like live. Not very many. Sometimes you have to sacrifice what is true. Wilson Thiel Relvel Martin Logan Avalon Ect.